Your company probably has a blog or content strategy in place and generally, content sharing by employees is encouraged. Yet, you might notice much of the published content is not being shared by employees or as often as you would like. This is especially frustrating for content, marketing, and social media teams. 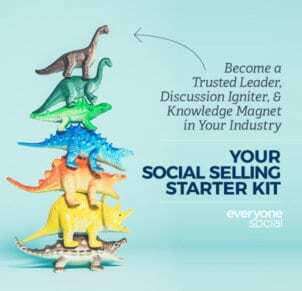 Since we are an employee advocacy and social selling platform, we gathered some interesting data over the years about employees social connections. Just from those three stats, you can see why getting other employees involved in sharing more content is important for your company. 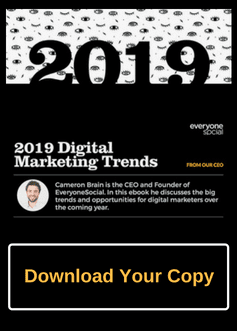 If your company does not encourage employees to share content, there is a huge miss opportunity for increasing marketing reach and improving lead quality. 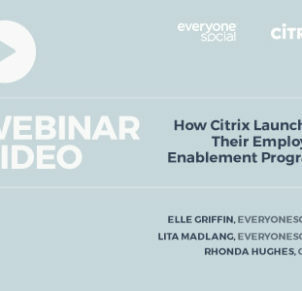 So, are you ready to improve content sharing by employees by up to 38x? If you are starting fresh or need to ignite life into your content sharing strategy, the below tips will begin to help boost content sharing among employees. Something you have to look at right from the start is the type of content your company is creating. A big reason employees are probably not sharing content is the value and quality of the posts are weak. The content should not only add value to your readers but your employees as well. Above anything, the content your company is posting needs to be more in-depth and contain more than a few generic sentences of repetitive content. While quantity may help get your company some initial visibility, it’s quality that keeps the readers coming back and more employees sharing content. You’ll feel like you’re spamming your audience and trust me if you feel that way, your colleagues will too. Mix up the content: create valuable guides, infographics, short videos, etc. 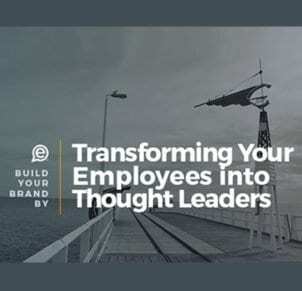 All of the above bullet points will arm your employees with industry value and significantly increase content sharing among employees to their networks. You may have even read or know about this type of content, but is your company actually practicing it? Do not underestimate the power of having great third-party content. If you have an employee advocacy tool, social media scheduler, or newsletter for employees, make sure to include relevant third party content. This type of content shows industry insight while sharing more than just self-promotion articles. This continues to provide additional outside value. Employees now have a mix of related material, that again doesn’t make them feel like they are being positioned as a giant sales pitch for just their company. Additionally, employees social connections will continue to trust and view them as knowledgeable leaders in their industry as they share outside resources. Now, not all third-party content should be accepted, so it makes sense to vet which resources will add the most value. 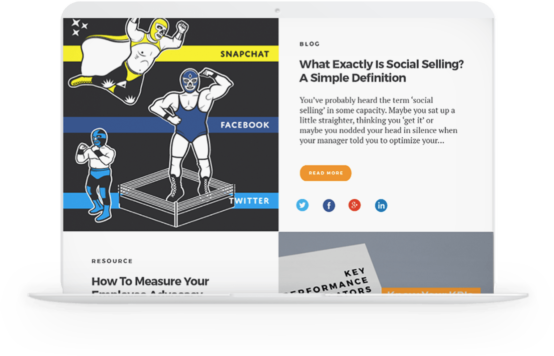 But start including these resources in your content sharing strategy. Up to this point, I’ve pointed out the importance of in-depth and strong content for sharing. Yet, getting employees sharing content is more than just creating good content that is worth being shared. Educating employees and department leads about the importance of content sharing is extremely vital. Many employees may not realize they are free to share content during work, unaware of any content sharing tools their company has in place, or really why it even matters at all. Get your employees involved with, and share with them, the value they add to the company by consistently sharing company content and related third-party content. Edelman’s Trust Barometer points out that 41% of people think a company’s employees rank higher in public trust than a firm’s PR Department, Founder, or CEO. Those two stats will make it clear to employees that they are able to position themselves as trusted leaders in their space and build credibility in their industry. And of course, content sharing by employees is going to help the company, but it’s important to make to convey how it builds their personal branding, improves their expertise, and helps their own social reach as well. Content sharing by employees on social is mutually beneficial for both company and employee. I find this quote from Ernest Hemingway a perfect fit for this section because a way to boost content sharing is to allow employees freedom and trust. By employee freedom, I mean let them post on their own time without strict rules and regulations. Then trust them to share and post quality content. There should be some basic guidelines in place, so employees are not concerned they are doing the wrong thing. But generally, do not make anything feel required. Rules and requirements will make the process seem more like a chore or an additional “job” to their already hectic work duties. How often do you get excited about extra chores? Most likely you don’t. Keep the content sharing process open, don’t block social media accounts, and show that you trust employees to make decisions on their time. By letting employees decide when to share and how often, you’ll find content being shared more willingly and more frequently. We recently posted about gamification strategy for businesses, but it’s important to mention here as well. One way to get employees engaging in more content shares is to gamify and incentivize the process. Measuring employees content shares, the number of people they reached, and having a leaderboard in place. Everyone loves a little bit of friendly competition! But you can take it one step further and provide incentives to employees who participate and even additional incentives for leaders each month. Again, something that should not be required or forced, but gives a boost of encouragement to get employees more involved. Gamification is something we incorporate into our software and many current customers find valuable to boost content sharing at their company. Additionally, people tend to like data and seeing the results of what they have accomplished by sharing content. Send the statistics and analytics with employees to prove how effective and helpful their involvement has been. This can be sharing data for web traffic generated from social, amount of conversions from social, keeping track of the total shares on posts, etc. Even share the analytics with employees who are currently not participating in content sharing, which can encourage more participation. Boosting content shares by employees might not happen overnight, but it is important to make sure it is happening at your company. 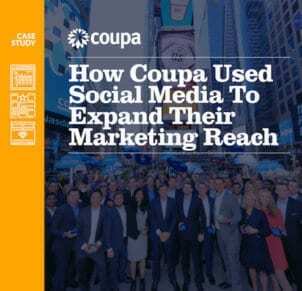 Majority of employees are already actively engaged in social media and their connections are much more likely to trust their content. So why not make it a priority to encourage content sharing? By encouraging employees and colleagues to share content, there is a greater increase in brand visibility, lead quality, and web traffic. But it also establishes your employees as thought leaders, helps them build their own personal brand, and improves their expertise. If you follow the above tips, you can significantly increase content sharing among employees and turn your workforce into a marketing powerhouse. Get employees sharing more content consistently, keep track of user engagement, and see which content is generating the best results for your company. Learn how EveryoneSocial’s software can help.